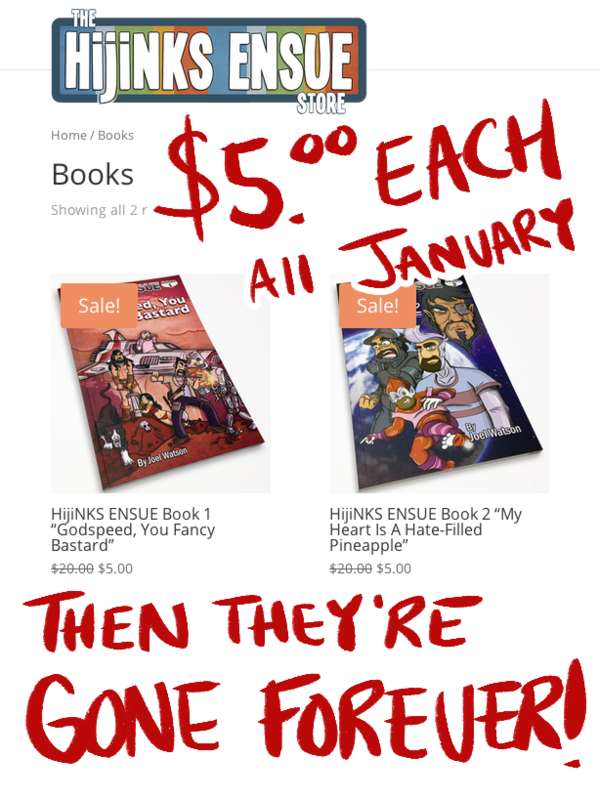 HijiNKS ENSUE Books 1 & 2 are ONLY $5 each for the month of January. Then they’re gone FOREVER! I am selling them at or below cost so they can go to Fancy Bastards that will appreciate them, rather than a bonfire. Buy ANY TWO HijiNKS ENSUE books and get a free Mini Print! Posted in Comic Blog and tagged books, news, store.